there's still tons of cash to be made on craigslist, specially if you know how to work the system.the only difference is that now it requires a different strategy. Individuals and small businesses will always hire service providers in a variety of different fields to help grow their businesses. the strategy focuses on making you the "right person"of your prospective clients even though you have zero experience. It optimizes the concept of sell high, buy low and investors, marketers and businessmen have used to earn large profits in a variety of different scenarios. 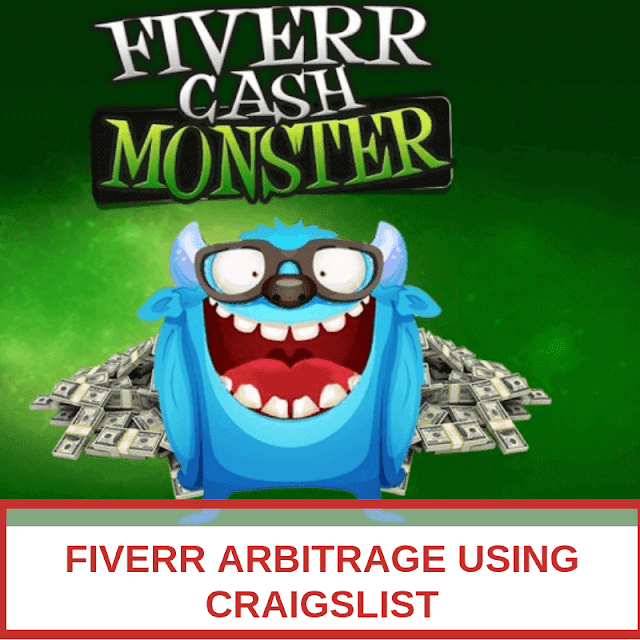 "the act of offering your services to a clients at an agreed upon rate, and then outsourcing the work on fiverr for a cheaper rate, so you can make a profit"
Here's how fiverr arbitrage works. For example, you decide to offer a writing service to potential prospects on craigslist and you find a potential client on craigslist. submit an offer to this potential client and he accepted the offer. the total amount that the client willing to pay is $30 for one 500 word article. The two of you decide on an upfront payment and the client immediately transfers the $30 into your PayPal account. Next, you head over to fiverr and begin looking for a prospective content writer to hire then, contact the writer and provide him with all information he needs to begin to write. when he agrees to do the gig, you will send him the $5, he deliver the article to you the next business day. If it looks good, you send it to your client on craigslist. the client receives the article and loves it so much in fact that he inquires about ordering more articles from you in the future. Not bad for a person who has zero experience in writing articles. it really is that simple. that's the magic of arbitrage. literally anyone can do this, even you! In this part I will walk you step-by-step through each step. STEP 1: Find clients on craigslist. Before you can find prospective clients, you need to know what type of clients you are looking for. Writing jobs: All businesses need writing in some form or another like web content, articles, .....etc. Graphic design jobs: This is another job category that all businesses need at some point, especially if they generate sales online. Graphic design can include logo, website graphics, E-book cover. Online marketing jobs: Online marketing is a huge market and it continues to grow every year. companies need people to market their websites content that includes SEO services, social media marketing and traffic generation. While it's not required that you offer services within these three categories, I highly recommend you do so. These three types of jobs get the most ad posting on craigslist and have some of the highest payouts. Step 2: Get hired by the right clients. Once you choose a job category, you would like to target, It's time to start tracking down potential clients and convincing them to hire you. Providers usually fall within two camps in regards to getting gigs on craigslist. The first camp consists mostly of amateurs who post an ad for their services and wait for clients to respond that's called"reactive"and it's not going to help you to success. You want fall in the second camp- the veterans who actively search for high quality clients on craigslist. Here's how you want to do it. Filter your results to show only "part time"and"contract job"
Click email alert to make craigslist automatically send you new posts and that's a big time saver. Make sure to follow the following steps to ensure you are targeting the right types of clients for your gigs. Getting hired is the most intimidating steps for the most marketers just starting out. but in all honesty, it's one of the easiest to do. But in all honesty, it's one of the easiest step to do. It's because you only need to follow a simple, universal template to write an email that will grab the client's attention and entice them to hire you. It's has four total parts. The introduction: simply introduce yourself and begin to build rapport by stating something positive about their company or industry. The offer: Briefly make your pitch explaining what you are offering and why you are a good fit for the gig. Emphasize your past experience and expertise if applicable. The big benefit: Mention the major benefit your client will receive by hiring you for their gig. The thing that will solve their biggest problem or meet the deepest need. 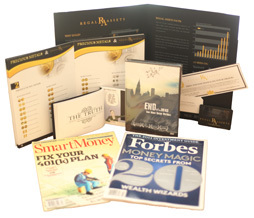 The invitation: Invite the potential clients to contact you if they would like to learn more about your service. Once they contact you, close the deal with answering all over their questions in a manner that will boost their confidence in your ability to perform the gig. This email should be no more than 150 word. Once you have your first paying client, it's time to head over to fiverr and find someone to complete the project for you. your first task is to find potential sellers that appear to be the most competent in your niche. On the fiverr homepage, type the general term for the job needed, for example write "social marketers" inside the search box. What are their relevant work experience? How long have been in this business? What are their current ranking? How do their reviews look like? If your answers to the above questions are satisfactory, then you will contact the seller describing exactly what you need. Once the seller approves your request, he will officially begin your project. then you simply wait for him to finish. In the meantime, if your client has any questions, make sure you respond to him as fast as possible. Once the fiverr seller has completed your project, the final step is to deliver the finished project to your client. Send the completed project as an email, if possible, always send an email to your client with a message and the finished product attached. Tell the client that it was a privilege completing the project for him and to please keep you in mind for future work. Also continue to contact more potential clients, as time goes on, you will receive emails from past clients asking you for more help. AND THAT'S WHEN YOU CAN START SCALING UP YOUR BUSINESS BY RAISING YOUR RATES AND PROVIDING EVEN MORE SERVICES.